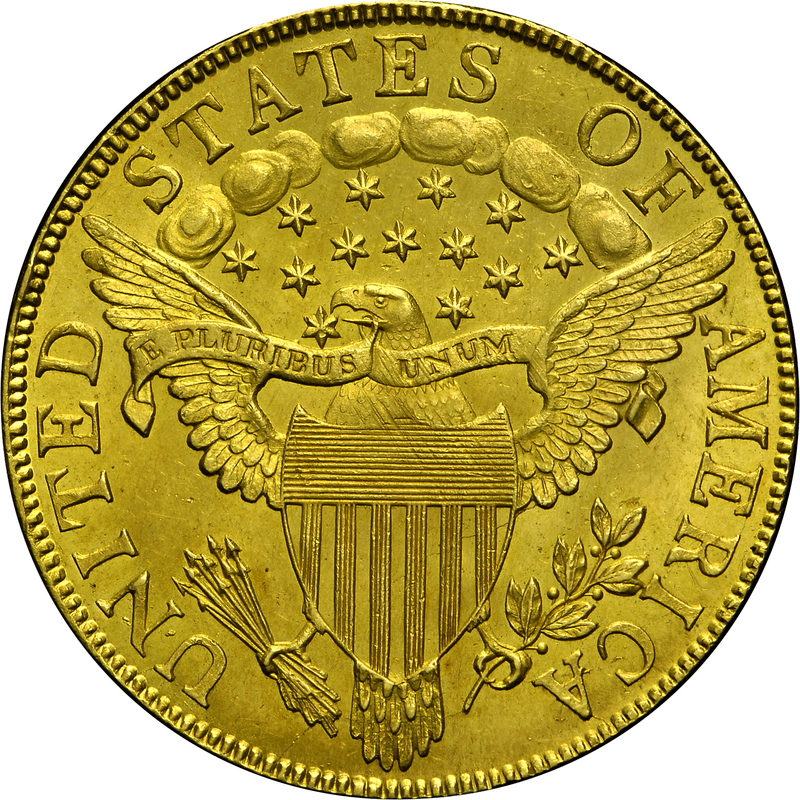 This piece is a lovely Mint-State example of another very rare variety, with just eight to ten examples known including one coin in the Smithsonian Institution. Despite the small population, most survivors are Mint-State or nearly so. This Bass Collection coin is an outstanding example and qualifies as one of the finest known. 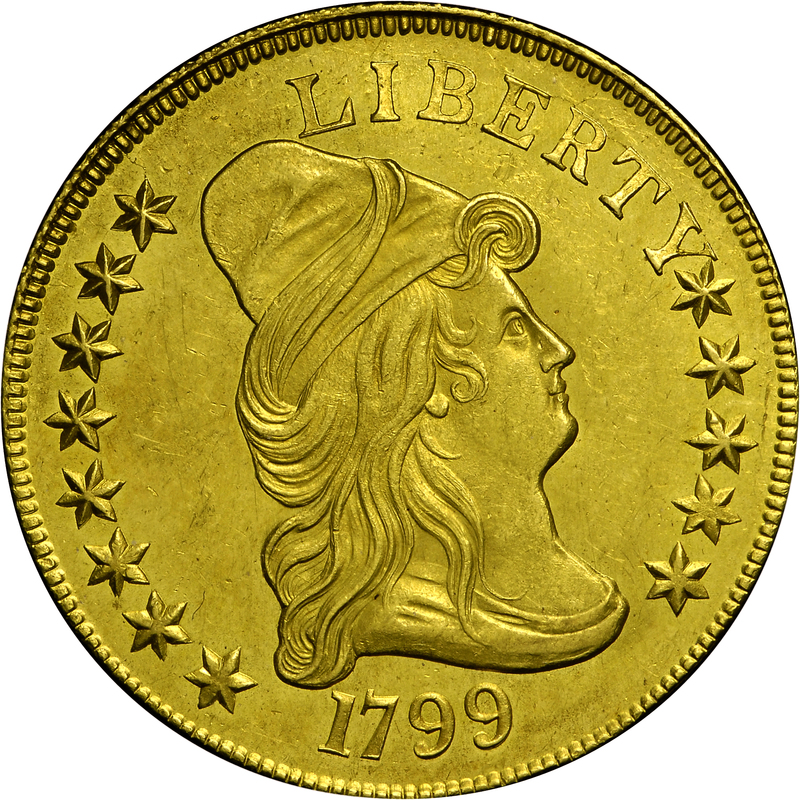 This date is represented by ten die varieties; however, only three of these are collectible. The other seven are all rated Rarity-6 or higher. 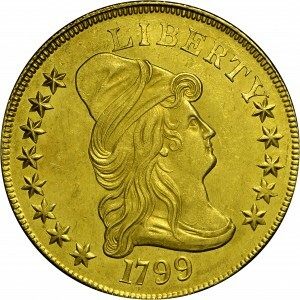 Stated another way, the total surviving population of this coinage date is approximately 1,000 examples, with over 900 of these emanating from just three different varieties. Purchased from Stanley Kesselman, February 28, 1973. 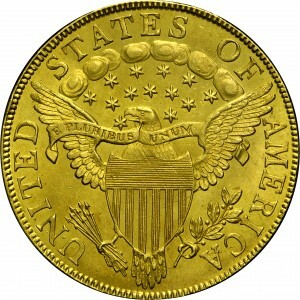 "Obverse: Small stars, close date, numerals spaced 17 9 9. Top serif of 1 very close to hair. Star 8 presents two points to cap, equidistant. Stars 2, 3, 4 double cut. Crack edge to topmost point of star 8. Erratic, rust-like crack in field above cap thru midpoint of L, towards I. Another, edge to top of I, thru BERTY. Rust lump above top serif of B. Star 9 touches Y. Reverse: Berry centered under A. Leaf point touches I at center of base. A(M) clear of left wing feathers (distinctive). Rust lump between UN, top opening of N. Crack MERI to C, where it is rust-like, then to left side of A, thru A, talon, stem end, tail feathers, arrow butts, edge. Lapping has removed previous faint crack thru O. Light crack tips of left wing's lowest feathers across lower shield , right leg, arrow shafts to base of U, U's rightmost serif to edge. Other cracks: D to wing, edge to right wing tip, wing to cloud."